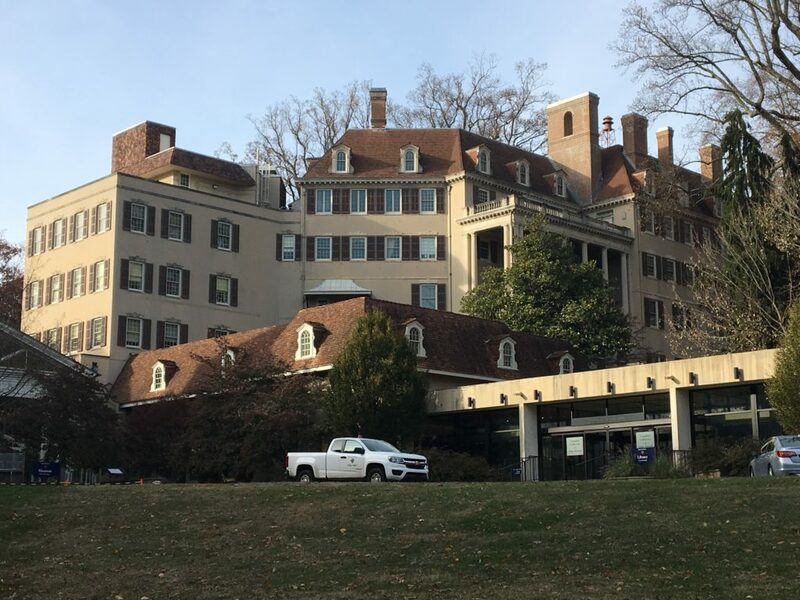 Tucked away in the Delaware countryside, Winterthur was the estate of Henry Francis du Pont, horticulturalist collector of Americana, also a member of the extremely wealthy du Pont family. Officially known as Winterthur Museum, Garden, and Library, it is the largest collection of American decorative arts in the country. The estate today consists of the mansion itself, an adjacent museum, the massive gardens, a library, a large visitor’s center, and the collection of soup tureens, the largest of its kind. The mansion itself has 175 rooms spread across 8 floors. It is the fourth largest house in the United States, with almost 100,000 square feet of space. It was originally built in 1839 by J.A and Evelina Bidermann, the latter of which was the daughter of Eleuthere Inrenee du Pont. When Henry Francis du Pont inherited it in 1926, he expanded it exponentially, making it what it is today. It became a museum in 1951. Winterthur offers several guided tours that cover different features of the mansion. Included with general admission is the general house tour. One of the most notable rooms is the main staircase, a large spiral staircase that spans several floors. Also noteworthy is the conservatory, which features a statue of an eagle and several plants. Du Pont liked eagles very much, so they are a motif in the house’s decoration. Each tour covers different parts of the mansion, but they all cover its exquisite decoration, and the furniture, rugs, paintings, architecture, and decorative arts. Each room had its purpose, of course, and the guides explain what the du Ponts would use them for. Outside, there is a reflecting pool, which transitions between the mansion and gardens. Most of the estate is occupied by the gardens. Henry du Pont loved plants, especially flowers, and grew many types of plants, trees, and flowers on his estate. Much of them is occupied by Azalea Woods, a large forested area with azaleas growing on the surface. Elsewhere in the gardens is the Sundial Garden, an open space with a large sundial as a centerpiece. Nearby is Sycamore Hill, which has one sycamore that is 300 years old, meaning it existing when William Penn arrived. Closer to the mansion is the Enchanted Garden, designed for children. 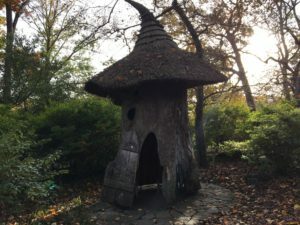 It’s a charming little place that has a giant nest, a small cottage, and a child-sized hut in the shape of a toadstool made out of wood. On the farthest edge of the estate is the Lookout, which provides a panoramic view of the Delaware countryside. Other features of the gardens include Mangolia Bend, the Quarry Garden, and Oak Hill. There is a 25-minute tram tour of the gardens included with general admission. Much like Longwood Gardens, another former du Pont property, Winterthur is decorated and illuminated for the season. Many of the mansion’s rooms are decorated for the season, with Christmas trees, holly, and much of the like. Also featured is an 18-room dollhouse created by Nancy McDaniel, which is also decorated for the season. Original copies of classic Christmas books are also on display. General admission is $20 for adults, $5 for children, $18 for students and seniors. At Yuletide, general admission is $22 for adults, $5 for children, and $20 for seniors and students. Additional admission packages that have different tours and offers are available. The types of tours and what they cover also varies by season. See website for details. Get onto the Vine Street Expressway and head east toward I-95. Get onto I-95 near the Ben Franklin Bridge and go south. Follow this all the way to Wilmington, Delaware’s largest city, and get on exit 7B, also known as Delaware Avenue. Continue onto Route 52 North. Follow that until you reach Winterthur. This should take around 45 minutes to an hour, depending on traffic. Alternatively, Take 95 to Route 1, also known as Baltimore Pike, all the way to Kennett Pike, where you turn left. Follow this all the way to Winterthur. This is an easy drive, and may have less traffic that I-95.